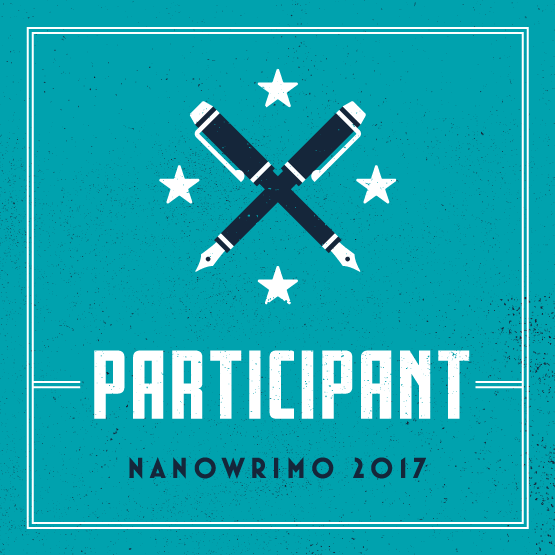 This is the first year that I haven’t felt enthusiastic about participating in NaNoWriMo. It’s not that my idea isn’t any good (because ideas are only as good as how well they are implemented) but that I have too many ideas, and I think trying to jam them all into a single story would not work out so well. I haven’t written anything of any substance in a very long time, so I’m out of practice. When I sat down to write my first 1,667 words yesterday, writing just didn’t feel the same as it had in the past. The story and the characters didn’t bring me any joy. Maybe that just means I have the wrong story idea, or that eventually the story might come around and interest me the more I write. Part of me feels like I have already written the best stories that I will ever write, and I shouldn’t bother creating new drafts but revising ones I already have. That’s probably not true because there have got to be some more good stories still lurking around in my subconscious mind. It’s just a matter of finding them. So I’ll get back to my NaNoWriMo story now and try to get into it. If it doesn’t work out, there’s no rule against changing paths halfway through! That’s what it’s like to be out of practice. It’s like being a musician — you practice your scales, build your calluses back up, and get back into the groove. NaNo is probably really good for that. It’ll certainly give me a kick start!